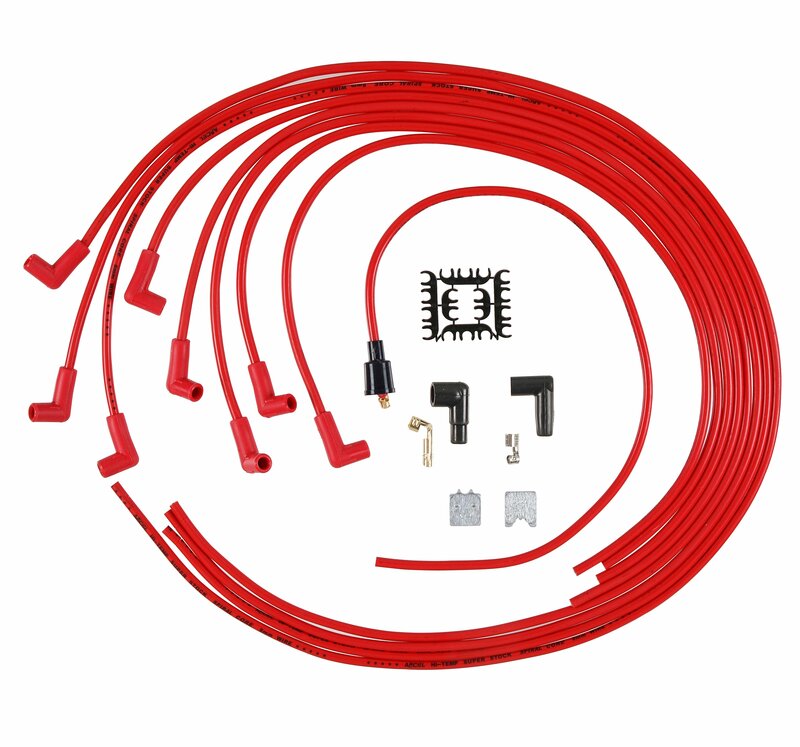 The traditional ACCEL combination of yellow wire and red spark plug boots has been added to these SuperStock Spiral Core 5000 Series wire sets, which feature color-matched wire and spark plug boots in blue, black, and red. With only 500 ohms/ft. of resistance, more ignition energy can reach the spark plug, producing a longer-lasting, hotter spark flame kernel. The results is higher performance through improved efficiency, quicker throttle response, and reduced emissions. This 8mm wire's double silicone construction is rated to 550 degrees F. The high-gloss wire jacket resists moisture, chemicals, and heat extremes for longer life and great looks. The fiberglass braid adds greater pull strength and terminal retention, while the stainless steel spark plug terminals provide excellent long life, electrical conductivity, and corrosion resistance. Both universal and custom-fit applications are available for early and late model cars and trucks.